What if you could give every employee a blueprint for tomorrow's most-needed skills? Your teams know they need new skills--and most are eager to get them. But, what most companies offer is, well, standardized. That can make it boring and not applicable. To stand out and bring your workforce into the future, you need a creative, personal--and even enjoyable--learning experience. 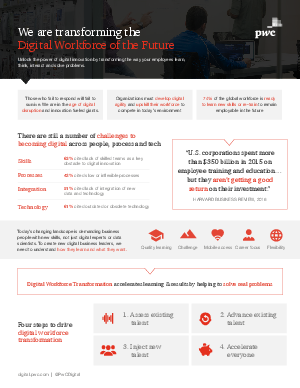 The Digital Fitness Assessment will help your employees build their future. Get a demo here.